To give educators and future manufacturers affordable access to our latest software, training and support. 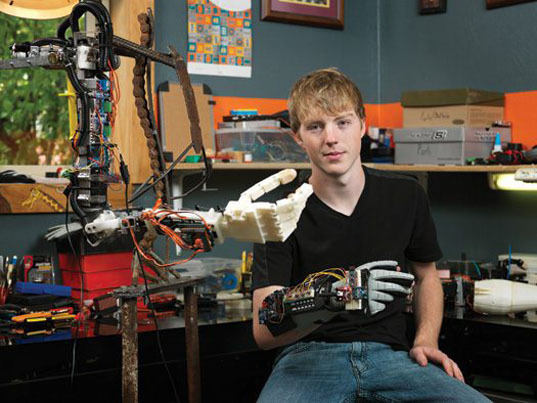 In 2012, BobCAD-CAM, Inc. launched an educational program called “Manufacturers of the Future” that targets the specific needs of schools, such as the need to provide quality design and CNC programming technology in the classroom. Our simplified, user-friendly interface makes it easy for students to identify the functions they need with minimal steps to get there. Enjoy our industry-leading toolpaths that provide better quality finishes in less time. It’s our goal to make sure every educational program, especially yours, always has access to the latest CAD-CAM technology. Full license 2D & 3D CAD-CAM software products can typically run between $10,000 to $20,000. At this cost, it’s easy to see why many schools and teachers struggle with implementing CNC programming functionality outside of the basic 2.5 axis. The Manufacturers of the Future programs offers powerful CAD-CAM software at a sharply discounted rate. We deliver a price point that makes sense for education programs so they can offer their students the chance to learn on professional grade 2.5, 3, 4, and 5 axis technology that’s used daily in all types of manufacturing industries. There are never any hidden costs or maintenance fees associated with BobCAD’s CAD-CAM software. Packages even include training products and technical support for educators and students. Prices vary from school to school based on what is needed. Contact Kevin Hughes directly at 877-262-2231 EXT 168 or [email protected] for a custom quote today. BobCAD-CAM CNC programming software is a modular system. This means that the CAD-CAM features can be set up to meet the unique requirements of the education program. It also means that additional programs can be supplemented in the future to grow with the class curriculum. CAD-CAM functionality ranges from 2.5 axis, 3 axis, 4 & full simultaneous 5 axis machining technology. If the school program includes a CNC router with applications such as sign or jewelry making, the BobCAD-CAM software can utilize the 4 axis module and BobART for artistic applications that involve vectorizing pictures, embossing, v-carving, wrapping and much more. Post-processing would be for 4 axis indexing and rotary machining situations in this case. Machine simulation can be included to visualize the machining operation using the shop's actual machine(s). BobCAD-CAM also offers a nesting and sheet-optimizing module for shape cutting which is designed to maximize sheet usage and reduce material waste. All school, class or lab CAD-CAM packages are customized to ensure the right technology is provided for the individual education program. It’s pretty common for CAD-CAM vendors to charge additional fees for training products and technical services. The BobCAD-CAM Manufacturers of the Future program doesn’t charge additional fees for these services. All participating schools are eligible to receive complimentary support and training with their CAD-CAM software! The goal of the program is to provide the best quality service and training to ensure that classes are not delayed while waiting for support issues to be resolved. Training products include sample CAD files for unique step-by-step tutorials in conjunction with videos to accelerate the learning process. This system ensures that every feature is understood and that students can easily learn the software. The Manufacturers of the Future program was created to assist the talent being hired into various shops around the world, both big and small. Without training on products like BobCAD-CAM, students can end up entering their careers without the proper knowledge they need to succeed. That's why we made it so students can take their license of BobCAD-CAM with them into their first manufacturing job, reducing the new employee learning curve. 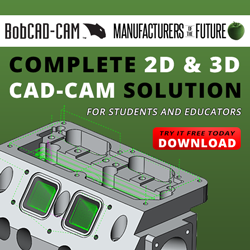 BobCAD-CAM makes it easy for students by filling the gap between the expensive CNC programming technology products and what is affordable for the small to medium size manufacturers that many graduates will work for. BobCAD-CAM Facebook groups - Joining the BobCAD Facebook group allows you to speak with like-minded people who may have the same questions or even solutions to a question you have. Additionally, users have a platform to communicate with our company directly, interacting with well-versed CAD-CAM specialists. BobCAD-CAM Webinars - Hosted regularly, our webinars are done live with a BobCAD-CAM technician that will take you through various topics related to the software. Users that join the webinar will be able to follow on-screen with what is being done and have the ability to ask questions towards the end. These generally last an hour and are always available on Youtube at the conclusion to be rewatched. BobCAD-CAM’s YouTube Channel - Our Youtube channel is a great source for detailed videos on many versions of our software. If you have a question, more likely than not, it has been answered in one our multitude of videos. These videos range anywhere from a minute long to over an hour long and cover both BobCAD and BobCAM products. To sign up your school for the Manufacturers of the Future Program today or for more information, contact Education Specialist Kevin Hughes at 877-262-2231 EXT 168. 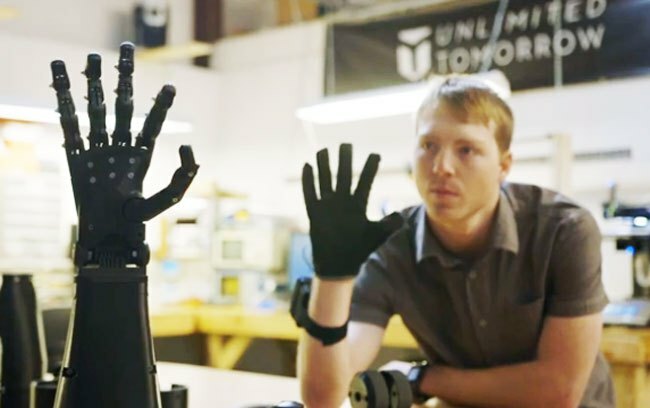 Education programs have to keep pace with modern manufacturing to ensure the next generation of innovators help grow and advance the industry. Manufacturers of the Future is partnering with education programs all over the world to help achieve this. Here's why it's working!